As the name might suggest, Skee-Tex has been associated with the Alpine skiing for the past 60 years. It remains a family run business, and since 1952 it has been run by Roy Hart and family from its Battlesbridge base. Along with the portfolio of ski wear, poles, boots and accessories, it also produces a comprehensive range of all-weather clothing. It is the market leaders for winter sports goods in the South-East. Its fishing range offers full protection from the elements, whether you’re fishing by the sea in mid-winter or stood by the bank on an English summer’s day. From one-piece fishing suits to keep you dry as you wade, to ‘Moochas’, the Skee-Tex alternative to Crocs manufactured with anglers in mind. The original Skee-Tex boot has been in production since 1950, with little changing in its design since then. Worn by the likes of polar explorer Sir Rannulph Fiennes, the thermal nature of this boot will not only keep you dry but also warm down to minus 50 degrees. Sir Rannulph swears by the boot, and it is the only one he has worn in eighteen years of exploration. The company also sells replacement liners so the boots can last a lifetime. If this boot is too heavy-duty for you, Skee-Tex also produces an ultra-light alternative. Made from the same EVA material as its Moochas, it is extremely durable and completely waterproof whilst also being exceptionally lightweight. The boot is also rot-resistant, which means it can hold up against harsh saltwater. All of its boots come with a removable lining. This allows the lining to be washed, extending the life of your boot. For the angler on the move, Skee-Tex also provides a boot bag. Not only does this keep your boots together so you’re not caught short, but it also keeps your car clean. 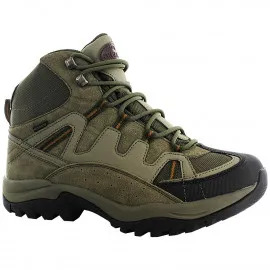 The Skee-Tex Fishing Bivvi Shoe offers protection on unknown surfaces, and is especially designed for anglers who enjoy wading into the waters in bare feet. 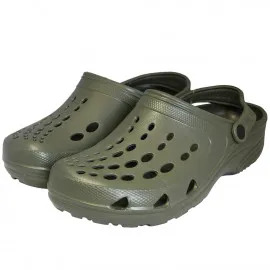 The soles of the shoe offer maximum pliability whilst also offering protection from sharp objects on the river or lake bed. The Skee-Tex unisex waistcoat is perfect for when you’re sat on the bank waiting for a catch. Not only is it quilted and waterproof to keep you warm and dry, but it also feature a pull-out flap to sit on. Skee-Tex thermal gear is manufactured from innovative bamboo fabric. Bamboo fabric is engineered to keep you warm, and is manufactured with micro holes to trap air next to the skin. Soft as cashmere and three times more absorbent than cotton, bamboo will keep you dry, and the anti-bacterial and anti-fungal properties keep you fresher for longer. The fabric is manufactured from natural bamboo, and all the properties’ of the bamboo are retained in the fabric form. 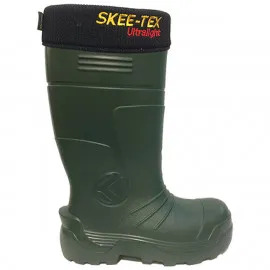 No matter your protection needs, from sub 50 to a summer’s day fishing, Skee-Tex has the clothing and footwear for you.